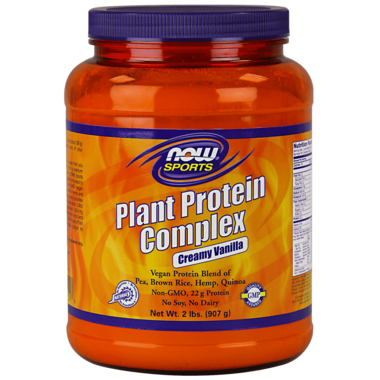 Now Sports Plant Protein Complex Creamy Vanilla is specifically formulated to address your needs with a non-GMO vegan protein blend from Pea, Brown Rice, Hemp and Quinoa sources. If you’re an active vegetarian or vegan then you know how difficult it can be to find a premium quality vegetarian protein powder. Each 1 scoop serving provides 22 grams of protein, and typically has about 3,900 mg of branched chain amino acids and 1,800 mg of L-Arginine. Sweetened with Xylitol and BetterStevia® Stevia Extract, NOW Sports Plant Protein Complex is the ideal protein product for your active vegetarian lifestyle. 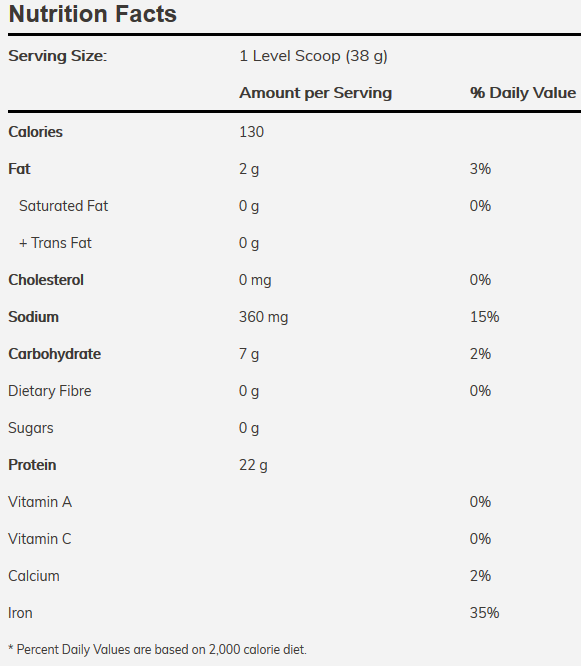 Directions: Add 1 level scoop (38 g) daily to 10 oz. of cold water, juice, or your favourite beverage, and blend. Ingredients: Non-GMO Plant Protein Blend (Yellow Pea Protein Isolate, Sprouted Brown Rice Protein Concentrate, Hemp Protein, Quinoa Protein), Natural flavours, Xylitol, BetterStevia® (Organic Stevia Extract), Xanthan Gum and Purified Stevia Extract. Caution: Contains Xylitol, do not feed to pets. Excellent affordable protein product, no strange after taste. Not bad for a vegan protein. The powder tastes good, more creamy taste rather than vanilla. I love adding it to my morning oatmeal for extra protein. It adds nice sweet taste to it. Decent vegan protein powder. Texture is good, blends well with fruit/berries etc. Flavour by itself is good; sweet but not too sweet, and no weird aftertaste. Some people may not digest pea protein that well, but i have no problems with it.